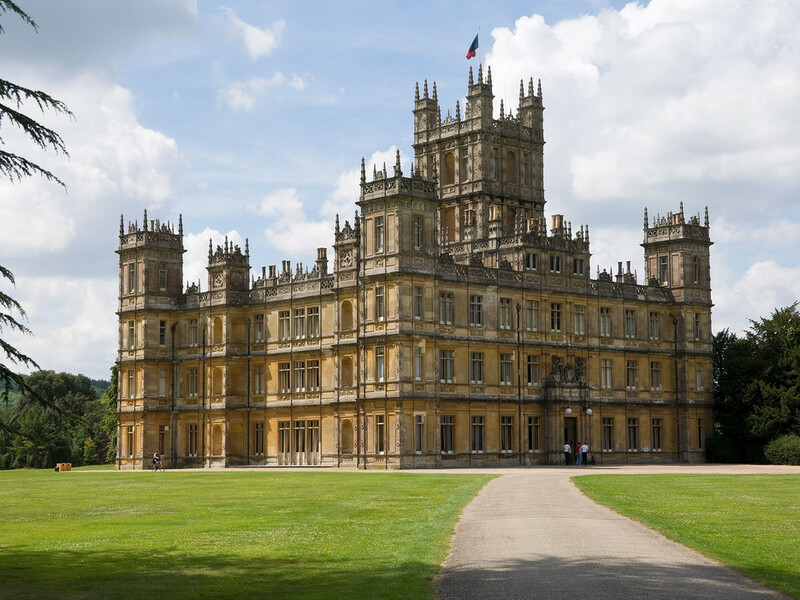 Highclere Castle, the English country estate where Downton Abbey is filmed, will be opening an on-site hotel called London Lodge. (Despite the name, the castle and its hotel are in Newbury, West Berkshire… not in London.) The estate, built in 1793, is home to the Earl and Countess of Carnarvon and has already been open to tourists for some time. There are organized Downton-themed tours that take tourists to see the building and grounds. But, this will mark the first time visitors can stay overnight there. You will enjoy the look and feel of Edwardian England. London Lodge is a smaller property near Highclere Castle on the estate. The process of opening the lodge took two and a half years. Like many of the old structures, Highclere suffered from some wear and tear over the years and needed some repairs, including a much-needed new roof. And while the period charm is intact, there are modern amenities in the hotel rooms, including television, Wi-Fi, mini-fridges, and electric kettles perfect for making that cuppa. Rooms at London Lodge begin at £350 ($540) per night. Season Five of Downton Abbey currently airs in the United States. This entry was posted on Saturday, January 17th, 2015 at 3:02 pm	and is filed under Blog by Manny Pacheco. You can follow any comments to this post through the RSS 2.0 feed. Responses are currently closed, but you can trackback from your own site.